Do you shop on Amazon.com? If so, you can support our work to preserve the history of the Milwaukee Road in Washington when you shop. AmazonSmile is a website operated by Amazon that lets you enjoy the same shopping experience as on Amazon.com, but with a benefit to Cascade Rail Foundation When you shop on AmazonSmile (smile.amazon.com), the AmazonSmile Foundation will donate 0.5% of your eligible Amazon purchase to our organization when you shop Amazon via this link. 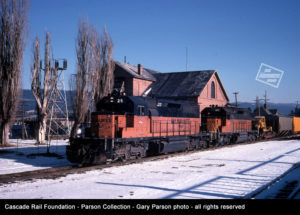 Your support helps us keep the story of the Milwaukee Road in Washington alive. 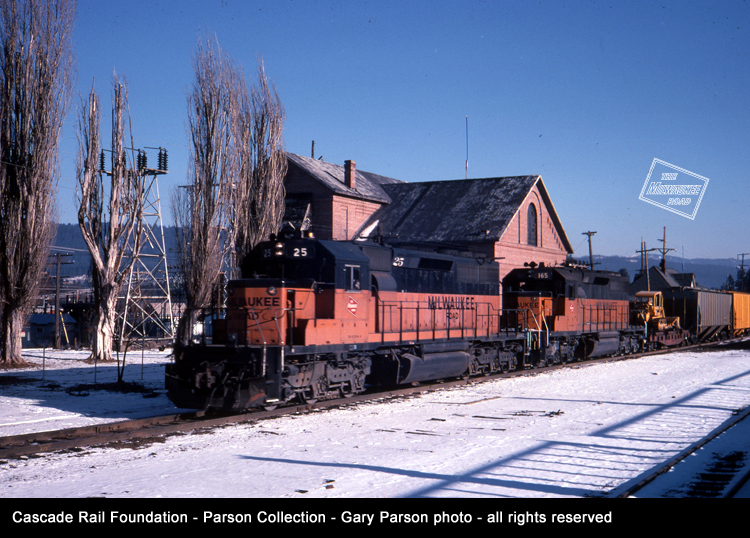 Milwaukee Road SD40-2 locomotives 25 and 165 lead a freight train westbound past the Cle Elum substation.